With the reissue of dark electro act Grendel’s first studio album via Infacted Recordings on February 28, revered North American imprint Metropolis Records has announced that it will be releasing Inhumane Amusement at the End of Ages: 2000-2002 on our shores on May 10. Compiling the original 2001 Inhuman Amusement album with the 2002 End of Ages EP, this remastered collection features 22 tracks spread out across a two-disc package, with remixes of “End of Ages” and “Corroding Conscience” by Arzt + Pfusch, Lights of Euphoria, Feindflug, and God Module for good measure. The album can be ordered digitally via the Infacted Recordings Bandcamp, with pre-orders for the physical edition available via the Metropolis website. Subsequently, Grendel will begin its North American Ascending the Abyss Tour on June 19 in Toronto, ON, continuing until August 4 in Buffalo, NY. 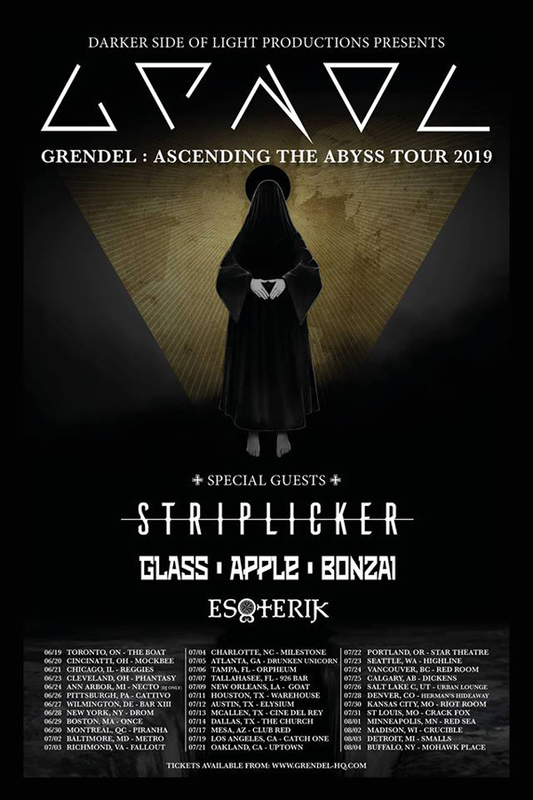 Joining the band as support acts will be Oklahoma City pagan synth act Esoterik, Canadian synthwave duo Glass Apple Bonzai, and San Francisco industrial/metal act Striplicker. A full listing of tour dates can be found on the bands’ websites.